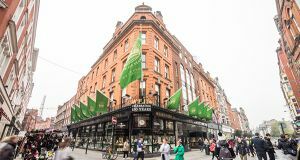 To celebrate Weir & Sons 150th anniversary The Irish Times has teamed up with Weir & Sons to give you a chance to win a voucher worth €500. Enjoy a two-night midweek stay for two in a deluxe suite with hot tub, breakfast by the lakeside each morning, and a four-course dinner in the hotel’s 2 AA Rosette Restaurant on an evening of your choice. We are giving one lucky family the chance to win a Sweet Easter treat in The Shelbourne Dublin to celebrate their 195th Birthday this year. 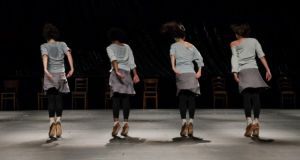 The Irish Times and The Castle Hotel are giving you the chance to win a dance weekend to remember. To celebrate World Sleep Day The Irish Times has teamed up with Reflex Pillow and Jo Browne to bring you the ultimate luxury sleep experience. The Irish Times is teaming up with The Celtic Ross Hotel to give readers a chance to win a weekend away in the stunning surroundings of Rosscarbery Bay. The winner will also get to attend the Farm to Fork weekend. 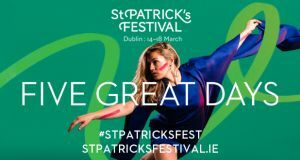 The Irish Times has teamed up with St Patrick’s Festival to give readers the chance to win two Festival Parade Grandstand tickets for Sunday, March 17th plus two nights stay at the Clayton Hotel, Cardiff Lane. 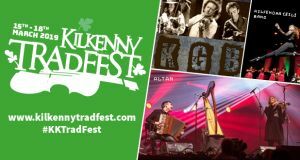 The Irish Times is teaming up with Kilkenny Tradfest to give readers the chance to win a weekend ticket for two to this year’s festival plus a two night stay in the Pembroke Hotel Kilkenny. The festival takes place on the 15th-18th March. 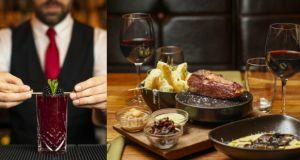 The Irish Times and Rustic Stone are giving readers the chance to win a four course meal with a bottle of wine for two people. The prize also includes two cocktails each at Bonsai Bar, above Rustic Stone restaurant. Enter now. 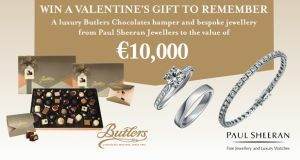 The Irish Times is giving readers the chance to win a luxury Butlers Chocolates hamper and bespoke jewellery from Paul Sheeran to the value of €10,000. Entry forms will be published in The Irish Times newspaper on 11th, 13th, 18th, 20th, 25th & 27th February 2019. 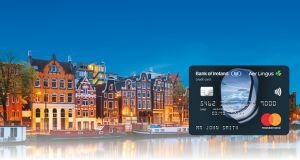 The Irish Times has teamed up with Bank of Ireland and Aer Lingus to give readers the chance to win return flights to Amsterdam with three nights’ accommodation in a four star hotel. 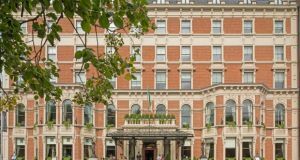 The Irish Times has teamed up with Powerscourt Hotel Resort & Spa to give readers the chance to win an overnight stay for two as part of the ‘P.S I Love You’ experience. 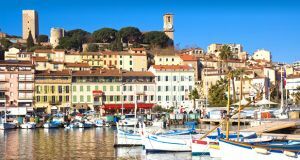 The Irish Times has partnered with Travel Department to give readers the chance to win a holiday for two to Cannes and the Côte d'Azur worth over €1500. 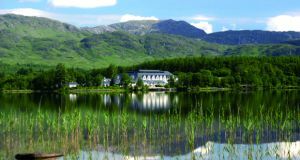 The Irish Times has teamed up with the Killarney Plaza Hotel & Spa to give one lucky reader the opportunity to win a luxurious overnight stay for two people in an executive room. Situated in the heart of Killarney town centre, the Killarney Plaza Hotel offers the perfect luxurious resting place to explore the magical kingdom of Kerry. 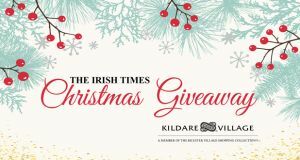 Find your unique code on the front of the Magazine published each Saturday with The Irish Times Weekend for your chance a €1,000 Kildare Village gift card this week and every week until December 29th. 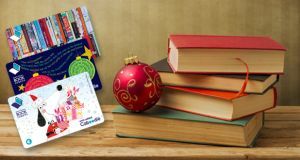 The Irish Times has teamed with Sunway to give readers the chance to win a €500 giftcard from Sunway. Win a two night midweek stay for two people at Lyrath Estate Kilkenny. 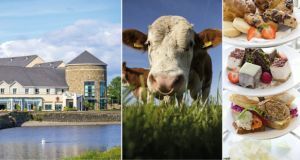 The Irish Times has teamed up with Lyrath Estate in Kilkenny to give one lucky reader the chance to win a two night midweek stay for two people. 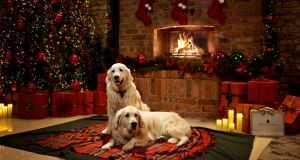 Win a two night stay for two people in any of the Clayton Hotels, Maldron Hotels or the gibson hotel, plus a €100 hotel gift card. 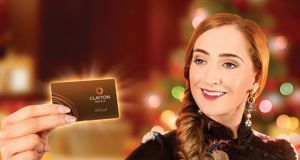 The Irish Times has teamed up with Clayton Hotels to offer one lucky reader the chance to win a two night stay for two people in any of the Clayton Hotels, Maldron Hotels or the gibson hotel. The prize also includes breakfast both days and a €100 hotel gift card for the winner to spend as they wish in any of these hotels. 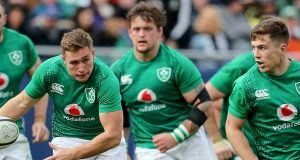 The Irish Times and Aldi have teamed up and are giving readers a chance to WIN one of five pairs of tickets to Ireland v USA at this year’s Guinness Series in the Aviva Stadium on Saturday, November 24th. Win a pair of tickets to Maya at the IFI French Film Festival, plus an overnight stay at Brooks Hotel. 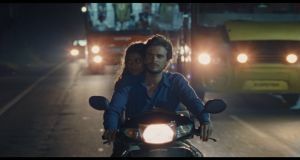 The Irish Times and IFI are giving you the chance to win a pair of tickets to the Irish première of Closing Film of the IFI French Film Festival, Maya by Mia Hanson Løve on Sunday November 25th at 8.10pm, plus an overnight stay in a deluxe room (breakfast included) at Brooks Hotel in Dublin’s city centre on the night of the show. 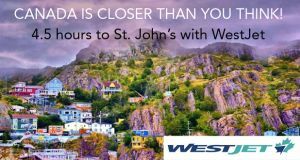 The Irish Times is giving readers the chance to win two return flights to St John's, Canada direct from Dublin International thanks to WestJet. 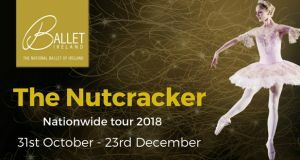 The Irish Times is giving readers the chance to win a pair of premium tickets to the opening night of Ballet Ireland's 'The Nutcracker' in the Gaiety Theatre on Wednesday, 14th November along with afternoon tea for two in The Merrion Hotel. Win a luxury break for two at the five-star Dromolond Castle Hotel. 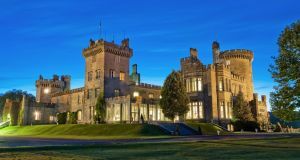 The Irish Times has teamed up with Dromoland Castle to give readers the chance to win a luxury midweek break for two people.This fabulous prize includes two nights in a Queen Anne room, with bed & breakfast for both guests, dinner on a night of their choice in the Earl of Thomond Dining room and a complimentary scheduled activity each day on the estate. 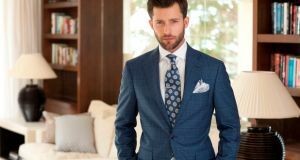 Win a Made to Measure Suit worth €1,000 from Louis Copeland & Sons. The Irish Times has teamed up with Louis Copeland & Sons to launch their eagerly awaited Made to Measure event happening from the 20th - 28th of October across all stores. To celebrate they are giving one lucky winner a made to measure suit worth €1,000. Win a holiday of a lifetime including flights to New York, and a luxury 7 night transatlantic cruise on the Cunard Queen Mary 2 to Southampton. 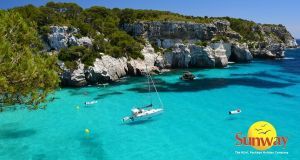 The Irish times has teamed up with Jetline Cruise to offer readers the chance to win the holiday of a lifetime. The prize includes flights from Dublin to New York Steward International airport, transfers from here to the port to meet Queen Mary 2. The lucky winners will then embark on a luxury 7 night transatlantic cruise that sails from New York to Southampton, departing New York on 21 April 19. 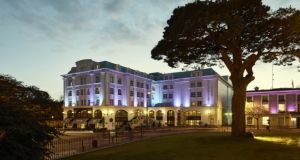 Flights are also included from Southampton to Dublin on 28 April 2019 on your homeward journey. 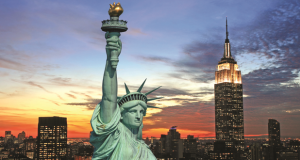 Win return flights for two people to New York with Aer Lingus. The Aer Lingus September Sale is now on, with over two million seats on sale, there are plenty of reasons to be happy this winter. 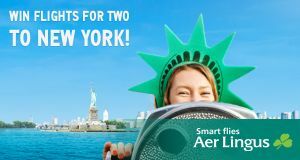 Another reason to be happy is that The Irish Times is partnering with Aer Lingus to give readers the chance to win return flights for two people to New York this winter! Win an overnight stay for two in a superior room at the Liebherr owned The Dunloe Hotel & Gardens, including dinner for two. 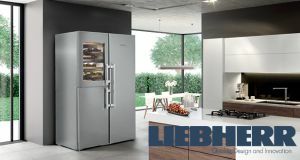 To celebrate the recent refurbishment of Liebherr Appliance’s showroom in Ballymount, Dublin, The Irish Times have partnered with Liebherr Appliances to offer a one night dinner, bed & breakfast for two people in a superior room at the Liebherr owned The Dunloe Hotel & Gardens.